What is the Chevy Silverado Price? How much is the Chevy Silverado? The 2019 Chevrolet Silverado price depends on the trim and build you choose. With a Chevy, you can’t go wrong. Choose the option with the strongest engine, the most off-roading capabilities, or even with the most space to enhance your Ponte Vedra trips. 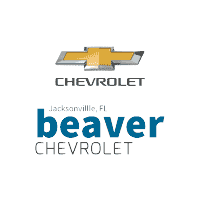 Learn more about the Silverado interior features, builds, and prices with us at Beaver Chevrolet. No matter which Silverado you choose, your Orange Park commute will be stronger and more entertaining. We even offer used Silverado models if you’re looking for more value. Further explore the interior technology and performance features of the new Chevy Silverado with us at Beaver Chevrolet and see how it compares with rivals like the Ford F-150. 0 comment(s) so far on What is the Chevy Silverado Price?